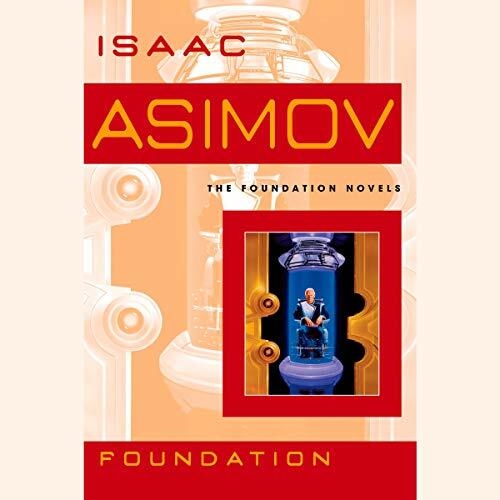 The Foundation novels of Isaac Asimov are one of the great masterworks of science fiction. Unsurpassed for their unique blend of nonstop action, daring ideas, and extensive world-building, they chronicle the struggle of a courageous group of men and women to preserve humanity's light against an inexorable tide of darkness and violence. The fate of the Foundation rests on young Arcadia Darell, only 14 years old and burdened with a terrible secret. As its scientists gird for a final showdown with the Mule, the survivors of the First Foundation begin their desperate search. They too want the Second Foundation destroyed, before it destroys them. At last, the costly and bitter war between the two Foundations has come to an end. Now two exiled citizens of the Foundation - a renegade Councilman and a doddering historian - set out in search of the mythical planet Earth. Meanwhile, someone - or something - outside of both Foundations seems to be orchestrating events to suit its own ominous purpose. Golan Trevize, former councilman of the First Foundation, has chosen the future, and it is Gaia. A superorganism, Gaia is a holistic planet with a common consciousness so intensely united that every dewdrop, every pebble, every being, can speak for all - and feel for all. It is a realm in which privacy is not only undesirable, it is incomprehensible. But is it the right choice for the destiny of mankind? While Trevize feels it is, that is not enough. He must know. It is the year 12,020 GE and Emperor Cleon I sits uneasily on the Imperial throne of Trantor. Here in the great multidomed capital of the Galactic Empire, 40 billion people have created a civilization of unimaginable technological and cultural complexity. Yet Cleon knows there are those who would see him fall - those whom he would destroy if only he could read the future. As Hari Seldon struggles to perfect his revolutionary theory of psychohistory and ensure a place for humanity among the stars, the great Galactic Empire totters on the brink of apocalyptic collapse. Caught in the maelstrom are Seldon and all he holds dear, pawns in the struggle for dominance. Whoever can control Seldon will control psychohistory - and with it the future of the galaxy. A millennium into the future, two advancements have altered the course of human history: the colonization of the Galaxy and the creation of the positronic brain. On the beautiful Outer World planet of Solaria, a handful of human colonists lead a hermit-like existence, their every need attended to by their faithful robot servants. To this strange and provocative planet comes Detective Elijah Baley, sent from the streets of New York with his positronic partner, the robot R. Daneel Olivaw, to solve an incredible murder that has rocked Solaria to its foundations. A millennium into the future two advancements have altered the course of human history: the colonization of the galaxy and the creation of the positronic brain. 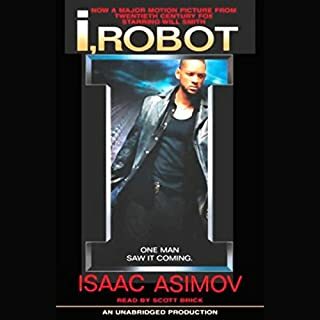 Isaac Asimov's Robot novels chronicle the unlikely partnership between a New York City detective and a humanoid robot who must learn to work together. Like most people left behind on an over-populated Earth, New York City police detective Elijah Baley had little love for either the arrogant Spacers or their robotic companions. The worst reader I have ever listened to! Detective Elijah Baiey is called to the Spacer world Aurora to solve a bizarre case of roboticide. The prime suspect is a gifted roboticist who had the means, the motive, and the opportunity to commit the crime. There's only one catch: Baley and his positronic partner, R. Daneel Olivaw, must prove the man innocent. For in a case of political intrigue and love between woman and robot gone tragically wrong, there's more at stake than simple justice. This time Baley's career, his life, and Earth's right to pioneer the Galaxy lie in the delicate balance. Some of the best narration I've ever heard. One moment Joseph Schwartz is a happily retired tailor in Chicago, 1949. The next he's a helpless stranger on Earth during the heyday of the first Galactic Empire. Earth, as he soon learns, is a backwater, just a pebble in the sky, despised by all the other 200 million planets of the Empire because its people dare to claim it's the original home of man. And Earth is poor, with great areas of radioactivity ruining much of its soil - so poor that everyone is sentenced to death at the age of 60. Joseph Schwartz is 62. High above the planet Florinia, the Squires of Sark live in unimaginable wealth and comfort. Down in the eternal spring of the planet, however, the native Florinians labor ceaselessly to produce the precious kyrt that brings prosperity to their Sarkite masters. Rebellion is unthinkable and impossible. Living among the workers of Florinia, Rik is a man without a memory or a past. He has been abducted and brainwashed. For 12,000 years the Galactic Empire has ruled supreme. Now it is dying. But only Hari Sheldon, creator of the revolutionary science of psychohistory, can see into the future, to a dark age of ignorance, barbarism, and warfare that will last 30,000 years. 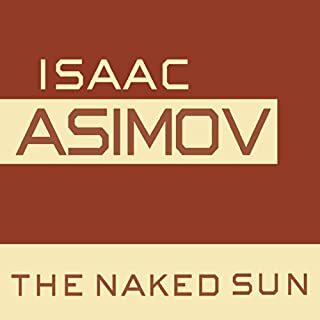 To preserve knowledge and save mankind, Seldon gathers the best minds in the Empire, both scientists and scholars, and brings them to a bleak planet at the edge of the Galaxy to serve as a beacon of hope for a fututre generations. He calls his sanctuary the Foundation. But soon the fledgling Foundation finds itself at the mercy of corrupt warlords rising in the wake of the receding Empire. Mankind's last best hope is faced with an agonizing choice: submit to the barbarians and be overrun or fight them and be destroyed. Please note: The text of this book includes some passages that begin or end in mid-sentence. This is intentional by the author. 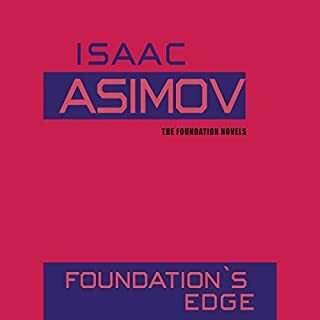 I read the Foundation series way back in high school, and while it shows its age in places, I still love it. I found the book a bit hard to get into at first but thoroughly enjoyed it by the end. The narrator is good but sometimes fails to distinguish adequately between different characters. Overall worth a listen. Hard to follow because the characters keep changing. It's hard to tell what's significant. There are better modern sci-fi stories. What can I even say. 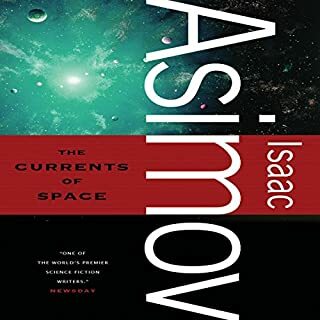 This is some of the best science fiction I’ve ever read/listened to. And it’s so expertly narrated by Scott Brick! I am tempted to buy the next book in the series now instead of waiting for my next credit! Great narration. Scott Brick always really brings the book to life. As far as the book itself goes, well, there's a reason it's one of the most beloved sci-fi books ever. The book is a very good one, the only thing that could improve the performance is to find a way to make more obvious the character that is currently speaking in a conversation, I would sometimes(1-2 times during the entire book) get confused and misunderstand the plot. Thanks Scott Brick. Maybe I'm too picky but this was a rather dull book. I still finished it easily because it kept me interested but I was disappointed at the end because I did not really felt like getting somewhere. I was expecting to be amazed by this classic. I think the hype is due to the popularity at the time it was published but not for it's value today. Not bad but not good either. 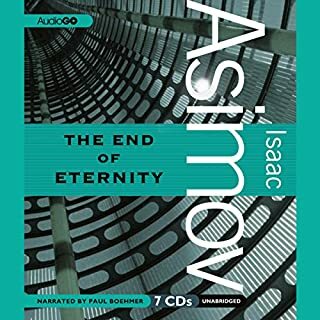 Asimov is superb, particularly when one considers that he started writing this series in the early 1950s. As a result it reads and sounds like the period. For all that, this is a great classic and Scott Brick is an excellent reader. The story and cast of characters is much more complex than the average novel. I found that a 2nd listen not only made everything clearer, but was even more enjoyable than the first. A few reviewers comment on dropped sentences. It helps to have access to the printed version. Chapters are frequently introduced with excerpts of the fictitious Encyclopedia Galactica, and these excerpts are - in both the print and Audible version - often dropped mid-sentence. This is Asimov. Highly recommended for any SciFi fan. An unabridged classic but "Psychologist?!!" I enjoyed listening to this. It was one of the first major works of SciFi that I ever read. Why on earth did the word "psychohistory" (and all derivatives thereof) become "psychology?" Where in the book they talk about psychohistorians, they talk about psychologists in the audiobook. What happened? Did the word get globally replaced by a spellchecker in the final copy of the script? In spite of its flaws, I couldn't put it down. This is a work of creative genius. The plot is intricate and compelling, breath-taking in its scope, and wildy imaginative. The characters aren't terribly well-developed, and the dialogue is sometimes cheesy, but that almost doesn't matter because my focus was drawn, again and again, to the "big picture". 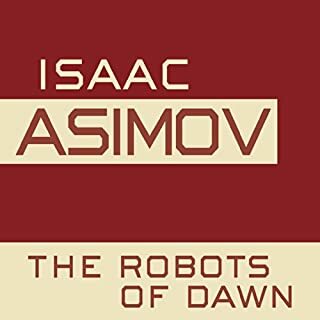 As soon as I think I've lost interest, Asimov drops a bombshell plot twist, and I'm back. Fantastic. What did you love best about Foundation? It is a story that has many elements we could learn from today. the background music was distracting, the narrative was ABRIDGED as I have read the book itself many times and a lot was left out of the narrative. 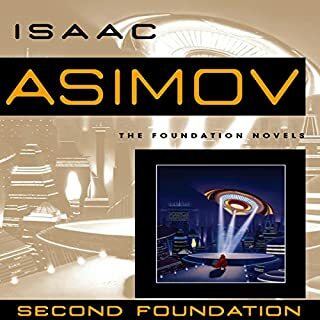 I first read Asimov's original Foundation Triology Back in the early 60's. 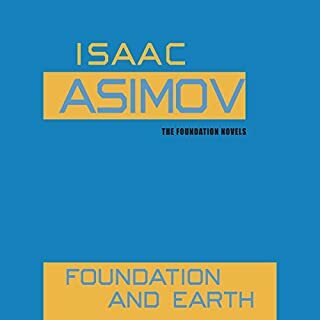 Later, as he added volumes to the Foundation series, I would grab up every Foundation book as they came out, ending with Foundation and Earth in 1986. 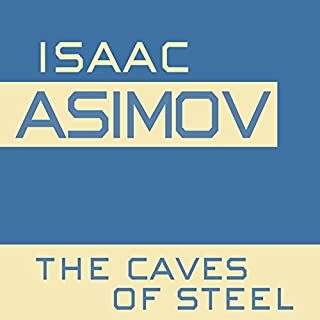 I have always recommended Asimov to friends and acquaintances as a "classic" to be be read by all Sci-Fi fans. 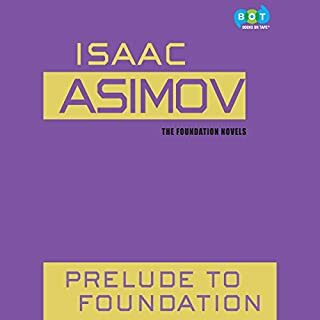 A few months ago, I noticed "Prelude to Foundation" when browsing through Audible to find my next "listen." I also decided to download the rest of the series so I could go through it all again in sequential order. Quite obviously, I had no doubt about Asimov as I've have been a reader of his for over 50 years now. I was quite impressed with the reader and also very impressed that he seems to be the reader for all books in the series so we gain the continuity of the presentation. I just cannot recommend the Foundation stories highly enough. Again, a classic and so very well performed by Scott Brick. One word of caution to readers/listeners to Asimove's style. There are times it seems, in all his writing that he begins to edge into a tangent of over description whether it be a personality, an event, or just a segment of the story. DO NOT let this cause dismay and do not allow yourself to drift, waiting for the dialog to pick up. It is all so important to end up with a genuine undersstanding of the story. All will come true to your expectations. I know this review is on the first book written (Foundation) but I cannot help but speak of the entire works. Asimov is timeless. The reader, superb. Do yourself a favor and commit to the entire works of Foundation. When you're done, you'll want to pursue the Robot books as well as the Empire books. Asimove wrote much and in the end you'll wish he wrote more. What made the experience of listening to Foundation the most enjoyable? For the first time in years I had to turn off the ipod and buy a hard copy of the book so I could finish this great story. The narrator, Scott Brick, voiced all the characters with such a snarky, arrogant persona that it highly distracted from the plot. Sometimes I couldn't even follow the dialog because I was wondering why two characters would be talking to each other in such condescending tones. I can't understand why this guy is such a popular narrator. I won't buy another audible title if he's doing the reading! I'm almost finished with the book and I have found no problems with the narration or editing. 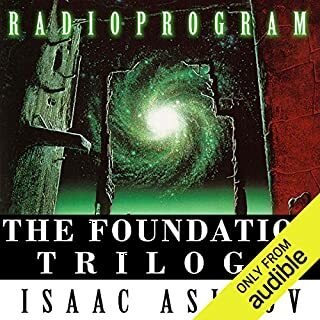 I can see what other people mean about it being a bit difficult to keep track of all the characters and figure out who is talking, but keep in mind (for those like myself who are new to the Foundation series) that the book moves from epoch to epoch, with each story having a manageable number of characters. 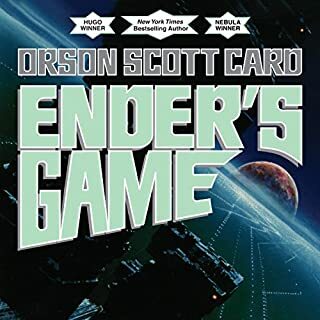 I also agree that the narrator (Scott Brick) doesn't do the best job I've heard him do of distinguishing between characters, but it's really not bad. 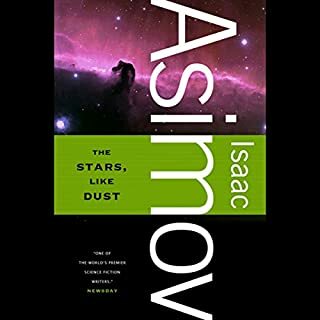 On the content side, I'm a fan of many Star Wars books and a few others by authors like Kevin J Anderson and Timothy Zahn but had never read much of Asimov. I'm already hooked and looking forward to the rest of the books in this immense series. 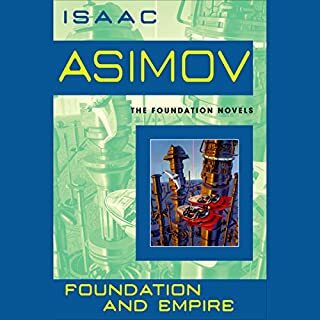 Foundation series was my favorite reading of childhood, I have read it many time. Just wanted to check if I would enjoy listening. Yes, it was fun to listen. But I feel that I would not understand some sophisticated details if I would not knew almost by heart what would be next, I believe that for the best result, this book should be read and listened to. 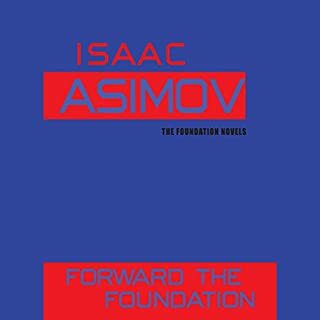 Having heard so much about Asimov, I was expecting to thoroughly enjoy Foundation. Having finished the book, I wouldn’t say that I hated the book or even really disliked it so much as I simply wasn’t impressed. I don’t plan to listen to the rest of the series. Over and over again as I was listening, I thought that the book simply has not stood up to the test of time. It just felt dated and old, like watching a classic movie comedy that never makes you smile, even though you know that it was really funny back when it first came out. 1) Almost zero character development. Foundation actually functions like 4 mini-books within the larger book and I never found myself caring for any of the characters. You are with each for a short amount of time and then you can forget about them entirely. The plot is the only thing that matters. 2) Very little action. I realize I’m from the Nintendo generation and that might mean my attention span is lacking. But seriously, can’t we get a chase scene or a fight or something? There was a military coup that we actually didn’t get to see and even a hostage situation on a hostile planet never got my blood racing. The narration was adequate but nothing about it made Scott Brick seem particularly noteworthy. Perhaps this is not the best book on which to to judge Brick since Foundation is such a marathon dialogue session. You won’t like the book any less because of Brick’s narration, but I suppose you won’t like it any more either. 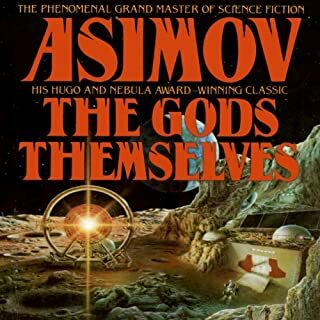 If you enjoy science fiction and are interested in reading a classic work, by all means, dive right in. Also, if you are the kind of person that enjoys old things and are able to appreciate them for what they are without being distracted by the additional flaws that come with age, you might also enjoy Foundation. Otherwise, you are likely to be disappointed with this read. 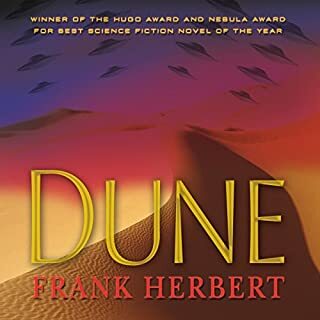 i regret having purchased this audiobook...i listened to the preview and though i didn't like the narration i was so interested in this classic work that i thought i could overlook it. i was wrong. Brick is one of those narrators constantly inserting himself and his style into the reading so obtrusively that it is distracting. he has a sing-song cadence, and a kind of vague sighing style that is hugely irritating, and gets more so with time. almost like he is relating something with an ongoing sense of vague regret and superciliousness. i finally got to the point, after only a short while, that i just couldn't stand it any more and decided to read the book instead. 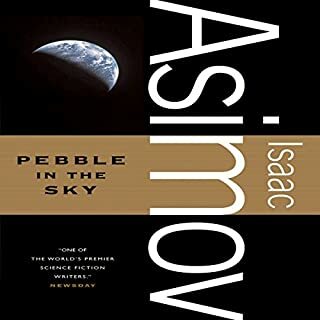 i with there were other readings of this series as i would very much enjoy listening to it, but not with this narrator. obviously, this is a highly subjective judgment and others may enjoy the reading. but listen closely to the sample and if you find yourself finding the reading a bit intrusive, just know that that sense is likely to grow, not diminsh, as you listen to the book. simon vance would have been good.